The Fasnacht Plakette is about to make it to the 2015 Accessory Hit List! This year, you will not only wear your Plakette to avoid getting showered with confetti during Fasnacht but also to add a little trendy touch to your outfit! Here are 3 ways to customize and wear your 2015 Fasnacht Plakette, straight from the runways! Step 1: Spray gold paint on your Plakette and let it dry for about 2 hours. Step 2: Prepare the glitters in a small pile (on a plate or a sheet of paper so you don’t end up with glitters all around your apartment…). Put a thin layer of nail polish all around your now gold Plakette and dip right away the sides of your Plakette in the glitter pile. Let it dry for 30 minutes. Step 3: That’s it! 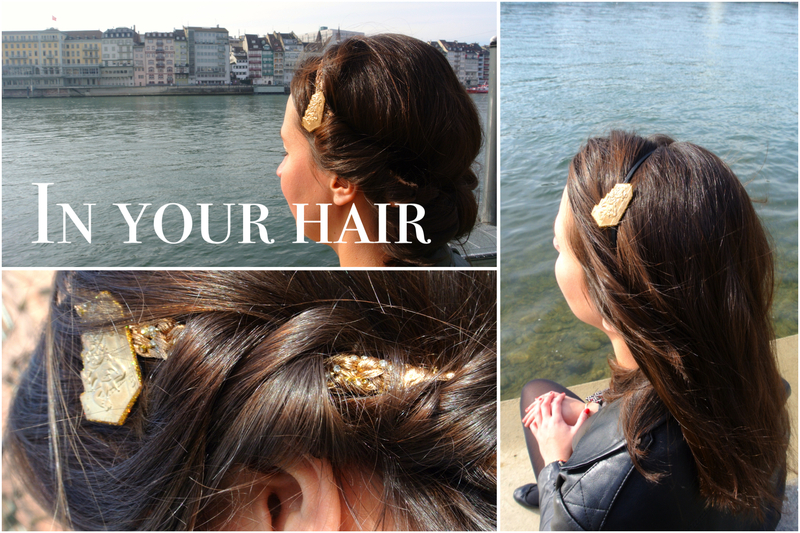 You can now pin your sparkling Plakette in your favourite headband and hit the town! – a piece of light fabric (about 1.5mx0.4m). I picked some red fabric but you can choose any other plain color. Step 1: Cut large heart-shape petals in the fabric (about 15cm high x 15cm wide). Make sure to cut petals close to each other to get as many petals as possible. Don’t worry if all your petals are not exactly the same size or shape. Step 2: Gather all petals to make a flower and hold them together with a stitch at the base of the petals. Step 3: Pin your Plakette at the center of your flower and pin your oversized flower on a jacket. That’s it! You look fabulous! – some acrylic paint (a small tube). Pick a color that will match your scarf. 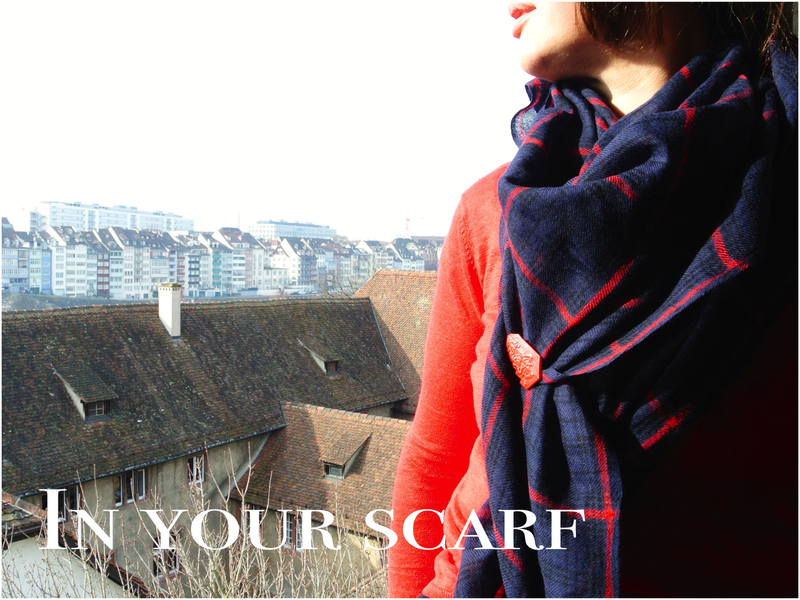 Step 2: Pin your colored Plakette as a brooch in your favourite scarf. Ta da! Now, it’s your turn! Have a try and enjoy Fasnacht! Sign up to My Little Basel newsletter and win a customized Plakette! Click on Follow and add your email address. The 40th and 50th followers will get to pick one of my customized Fasnacht Plakettes. Quelle élégance! La “parisienne touch” à Bâle, j’adore!